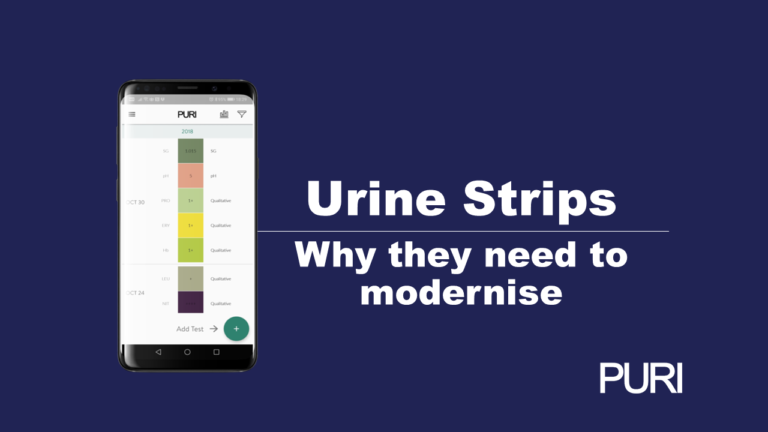 Urianalysis strips have been around since the 1950’s when progress in the understanding of how certain chemicals react with compounds in Urine. This knowledge was packaged in useful strips where medical professional and patients could get insight into their health through the simple process of dipping this stick in their Urine. For the last 60 years, millions upon millions of strips have been dipped in Urine and the colored pads on the strip compared to a colored grid on the test strip packaging. 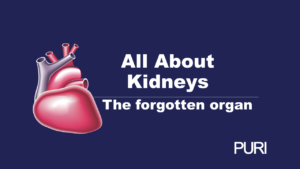 This simple procedure has informed patients and doctors about the health of their patients and has given insights into the status of Urinary Tract Infections, Kidney Function, presence of Blood in the Urinary Tract and other health issues. 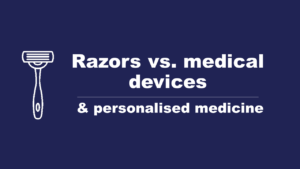 These results have been recorded by the doctor or the patient in the patient’s health record, or often looked at and if OK, the result has been thrown discarded in the bin with the used test strip. Now nearly 70 years later the technology has not radically changed. There have been improvement in production techniques and each manufacturer make claims as to why their strip is the best. However, for the average patient and consumer, using a urine test strip has remained largely unchanged and the results can be confusing with the interpretation left up to the doctor. However, this seems to be changing. While the reagent technology has not changed significantly the resources available to record and interpret the results has improved greatly with the introduction of mobile technologies. We have seen various companies producing proprietary strips that will read the colors on a test strip via the mobile phone camera and will automatically record the results on the mobile phone. The advantage of this technology is the removal of potential human error, but sometime at the cost of being more complicated than reading manually on the side of the packaging, or introducing hygiene issues where re-usable color comparison charts come in contact with the urine soaked strip. The other disadvantage with this technology is that the mobile application is only compatible with the manufacturer’s strip, meaning that the user is locked into purchasing this strip and it can be difficult to transfer data out of their database, or if the app can be used on multiple strips, there is often bulky equipment such as a light controlled chamber, which allows the app to read another manufacturer’s strip. 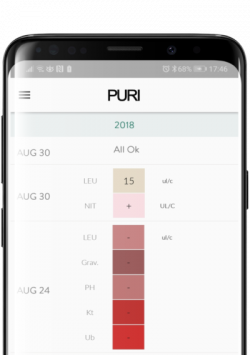 What you will find with PURI is that the PURI app is compatible with any urine strip, and the database of urinalysis templates is growing every week, meaning that you will be able to use nearly any urine test strip with PURI. Users can also request that new templates be added. The data input is intuitive and copies the dimension and colors of the manufacturer’s comparison charts, allowing users to input their data with just a few screen touches. Users of PURI Urinalysis App will also find that they can easily share their results with their contacts within the app, or they can email the results to their doctor or carer. All of this functionality is free to download. For users and patients looking for a bit more functionality, for less than the price of a coffee a month, users can subscribe. This enables results to be seen on a graphical interface allowing easy interpretation of results, allows users to save their favorite strips which speeds up input, and one of the best features is a timer function which tells the user when to take the test reading which radically simplifies testing and improves results. So for those patients who want to improve their Urinalysis and take better control of their Urine testing data give PURI app a try and tell us what you think. You can download PURI app on Google Play or the i-tunes app store.